A brief history of East Meon. 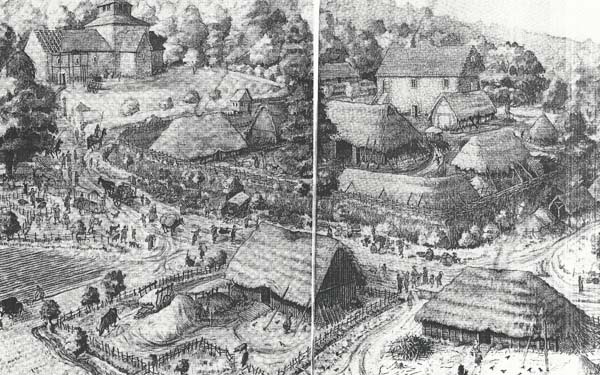 Artist's impression of Domesday village. ’A Hampshire Village’, by Keith Vokes, from The Hampshire Family Historian. A Brief History of East Meon, A Hampshire Village, by Keith Vokes.